With the deadline to get gifts under the tree creeping closer, procrastinators around the U.S. provided a much-needed boost to retailers during the final weekend before Christmas. 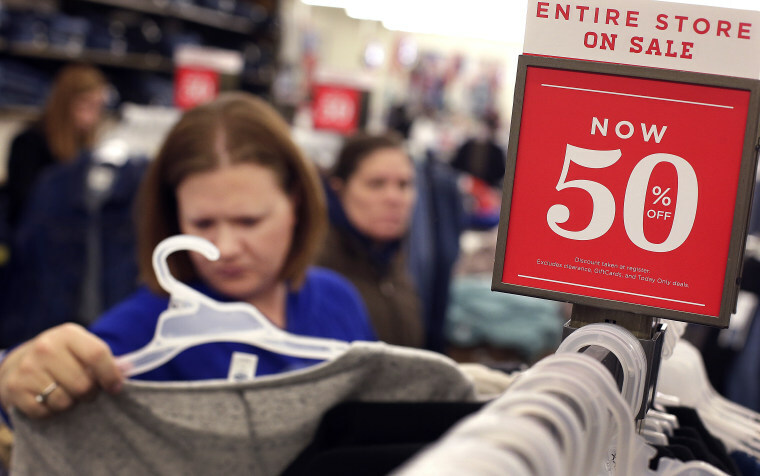 But as steep discounts continued to percolate, analysts said the lift was likely too little too late to salvage a slow start to the holiday shopping season. "This weekend was a really good weekend for many of the retailers … (but) a fair amount of the traffic was driven by promotions," said Steve Barr, U.S. retail and consumer sector leader at PwC. "I do not think the overall results are going to come in at the levels that were anticipated early in the season." After a sluggish start to the fourth quarter, including a double-digit sales decline in stores over Black Friday weekend, according to ShopperTrak, retailers had been banking on late-in-the-season shoppers to provide a last-minute lift. In November, retail sales excluding automobiles came in flat compared to the prior year, well shy of industry forecasts that have called for anywhere between 2.4 percent and 4 percent growth over the holidays. However, December is a more crucial month for retailers, as it accounts for seven of the year's 10 biggest sales days, according to Shoppertrak. Underscoring that point, a study released by the National Retail Federation on Tuesday found that 90 percent of Americans had not yet finished their holiday shopping. But while consumers did turn out at shopping centers across the U.S., an influx of inventory caused many retailers to resort to promotional levels reminiscent of Black Friday. According to Jefferies analyst Randal Konik, Gap, Old Navy and Ann Taylor all offered 50 percent off the entire store, while Michael Kors offered the same tiered discount that it featured during Black Friday. Promotions were particularly prevalent on cold-weather apparel and boots, following the warmest November in recorded history. That trend has continued into December, with forecasts calling for temperatures of 72 degrees in New York City on Christmas Eve. Even Deckers-owned Ugg, which rarely cuts its prices, was offering 15 percent off classic boots in its own stores, while department stores slashed prices by 20 percent. "The residual impact of weeks of warm weather is still evident throughout the mall, with pockets of excess inventory in seasonal categories," Konik said. PwC's Barr said consumers, whom he considers the real winners of this holiday season, can expect these deals to continue after Christmas has come and gone. "In the end, the weather, all the factors that we've been talking about for the past few months, all just ended up coming to a head," he said. "Once we get past the new year the retailers will have one objective, and that is to clear the floor almost at any reasonable cost."